Although I was raised as a Christian, I have always been intrigued by my Jewish heritage – from dancing the horah at two and a half years old, to visiting Israel with Taglit last year, I’ve strived to learn more and more about my roots. 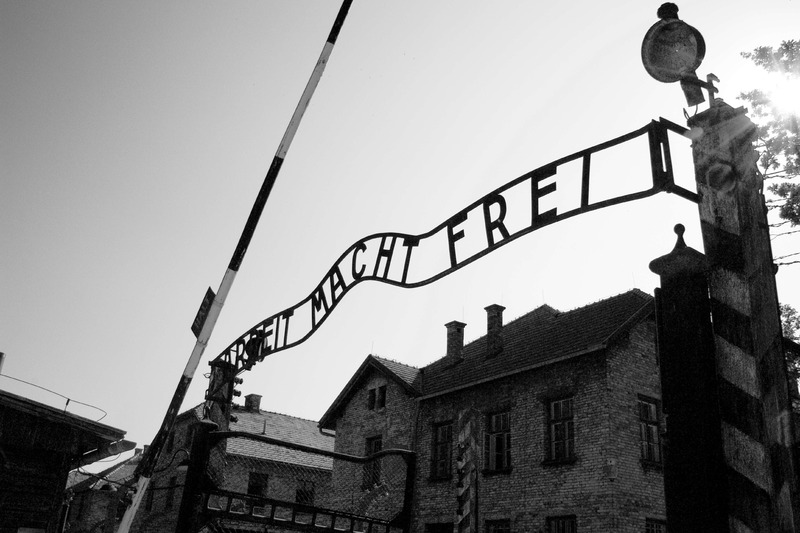 I’ve visited Holocaust sites and memorials all over the world, but I knew that one day I’d have to go to Poland. To go to Auschwitz. I dreaded going, but I knew that it was important to my history, and so I bought a flight directly to Kraków. Mosquito Hostel arranged for us to visit Auschwitz-Birkenau with MCIT; they have been running tours for over ten years, and we definitely learned why. We were picked up from Mosquito at 7am and drove us directly to the camps. 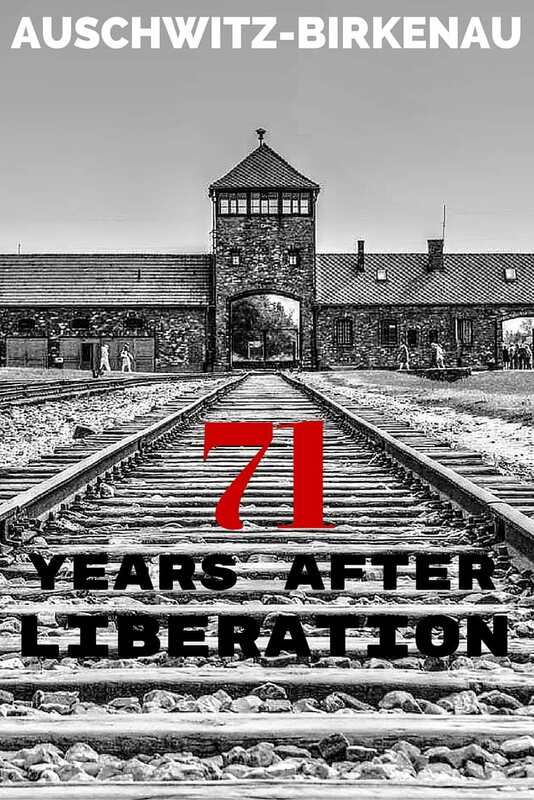 During the hour journey, they showed us a documentary called The Liberation of Auschwitz to provide some background information to those who may not be as aware of the atrocities that took place. Definitely some heavy viewing for so early in the morning. It ended right as we pulled into Auschwitz. 5FT Tip: Anything bigger than a small purse is not allowed in, so no need to pack anything for the day. That infamous German phrase. Work Shall Set You Free. 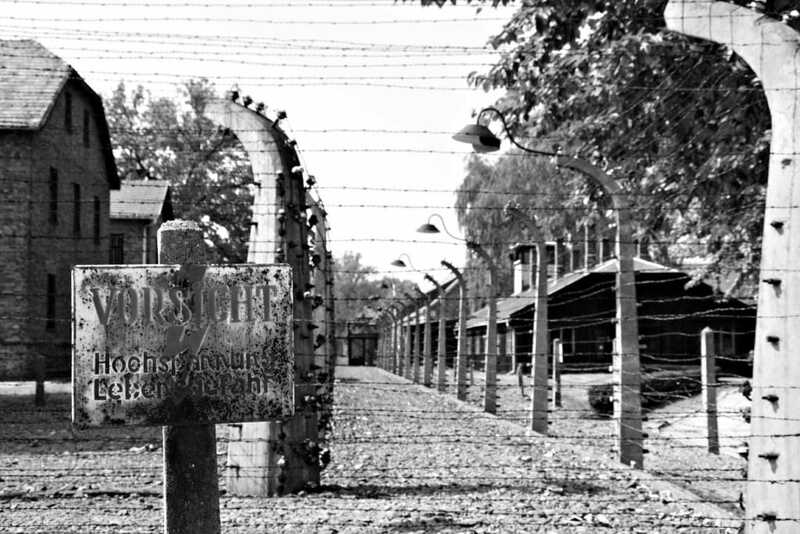 With goosebumps and a chill in the air, we walked into Auschwitz, one of the first Nazi death camps. From the outside, it doesn’t seem bad – uniform buildings, fresh cut grass, sunny skies – but then you remember. Then you remember just how many millions walked these same steps to their death. 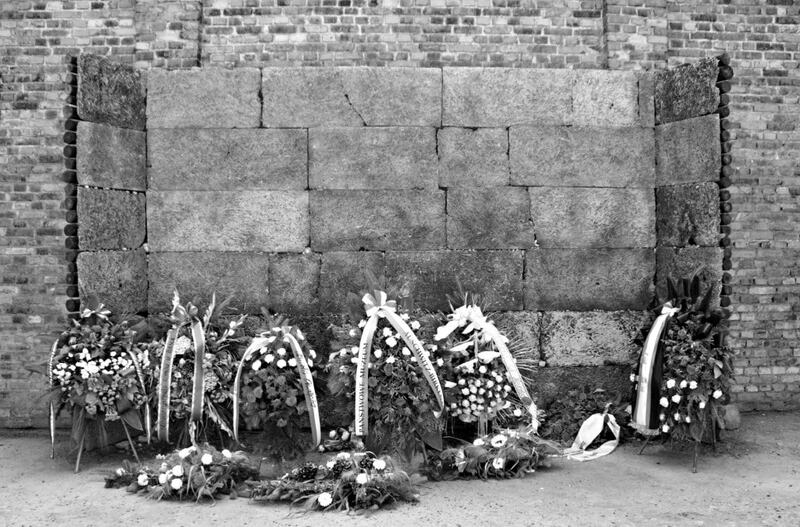 Upon arrival, the prisoners were examined and categorized – those who were unable to work were immediately sent to the gas chambers, while those capable were forced to work more than ten hours a day, emaciated, hungered, abused. The elderly, pregnant, disabled, children, and weak were all gassed, and those who showed signs of resistance to their “shower” were shot on the spot. 80-90% of all newcomers were sent to the chambers and, once inside, died of suffocation within fifteen minutes. 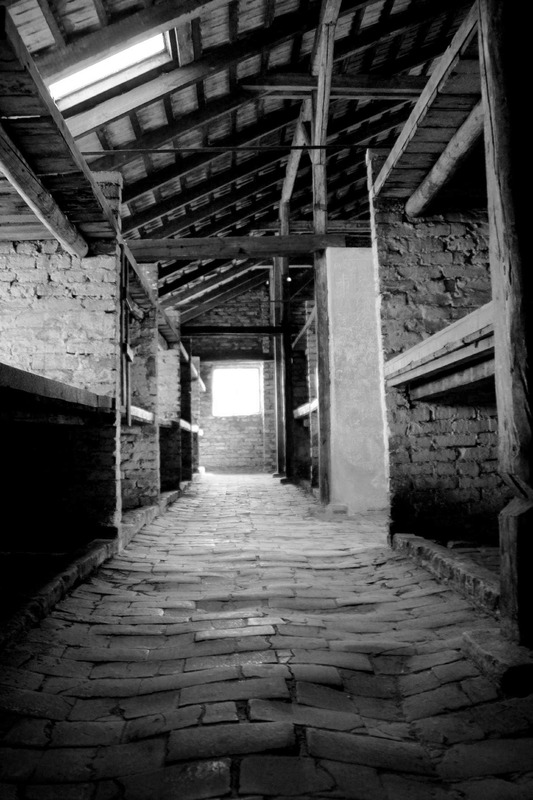 The gas chambers were so large that, in Birkenau, 2,000 people could fit in one chamber, meaning that 8,000 people could be killed at the same time since there were four gas chambers on the premises. These chambers were situated in such a way so that no one could hear the screaming; it was that meticulously designed. We walked through these chambers, knowing that so many marched in and never came out. If a prisoner was assigned hard labor, and tried to escape, he was publicly hanged. If they didn’t get hanged, they were sent to the death wall, located in the yard at the side of Block 11, and shot; the youngest killed was a seven month baby. If a prisoner did succeed in escaping, ten of his bunk mates were locked up and starved. After visiting the crematorium in Auschwitz I, we went to Birkenau, the largest concentration camp where most of the machinery for mass extermination was held. It was here that approximately one million European Jews were murdered. Birkenau is about 200 acres, compared to the 50 acres of Auschwitz. 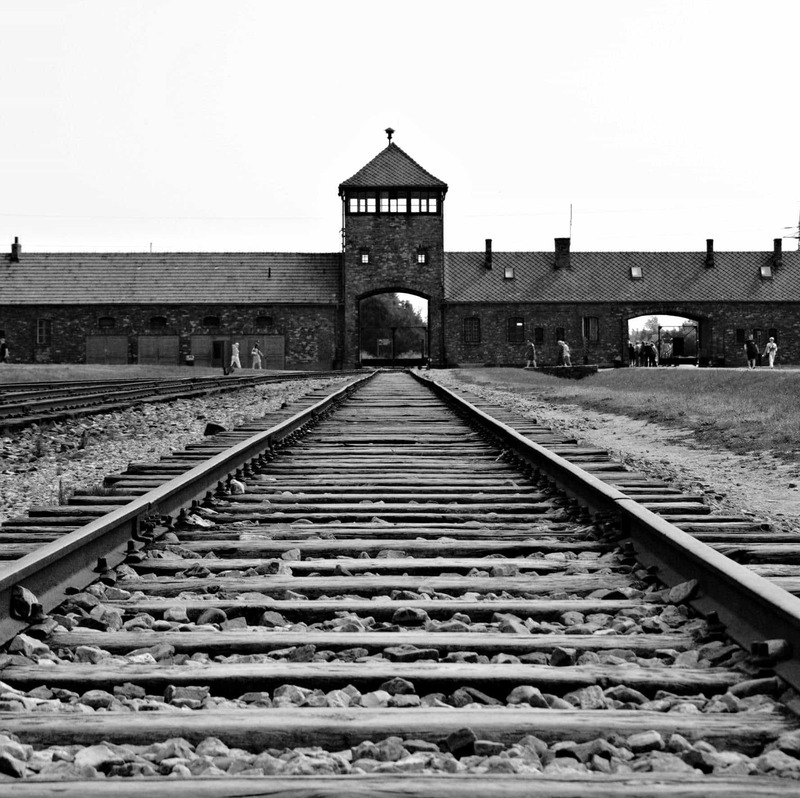 It was Birkenau where people were notoriously driven to the end of the train tracks to be gassed. We weaved in and out through the buildings turned museum – from the bedrooms to the bathrooms to the experimentation rooms and crematoriums. It was difficult to say the least, but necessary. Personally, the hardest part for me was entering the bunkers – to see the bunks, know there were six people to a tiny bed, to imagine the hardships and terrors that must have festered there. It is entirely unfathomable. After 5 years, 4 months, and 12 days the German occupation was over. Never forget that behind each number there was a name, a face, and a future lost.